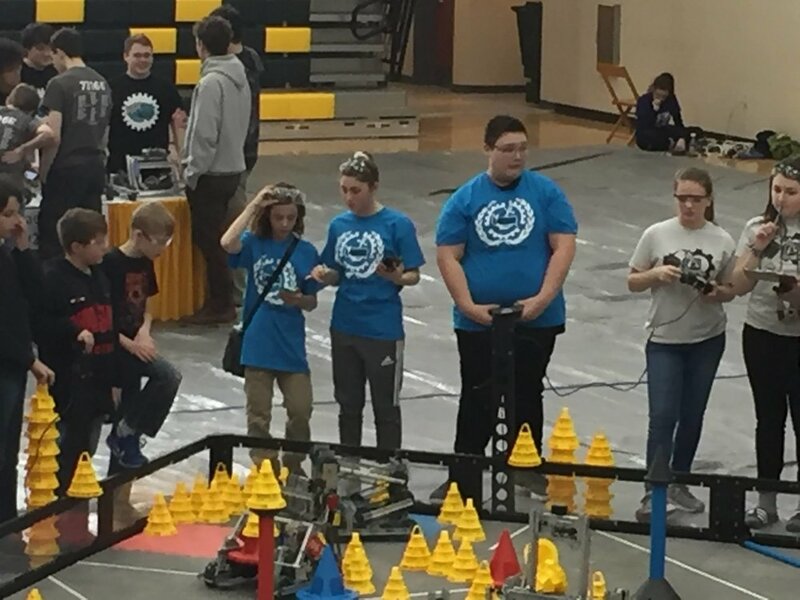 The Argos made it to the quarterfinals at their competition this weekend! They were given the Judges Award which is given to the team that that the judges believe deserve Special Recognition. 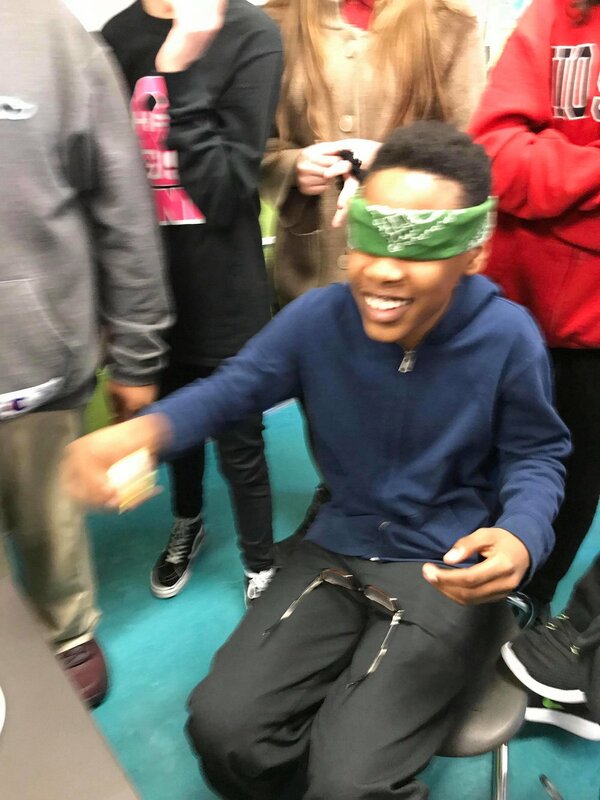 Students took part in a 'Blind Taste Test' in which they had to be the first to identify the food in French, using their vocabulary words . 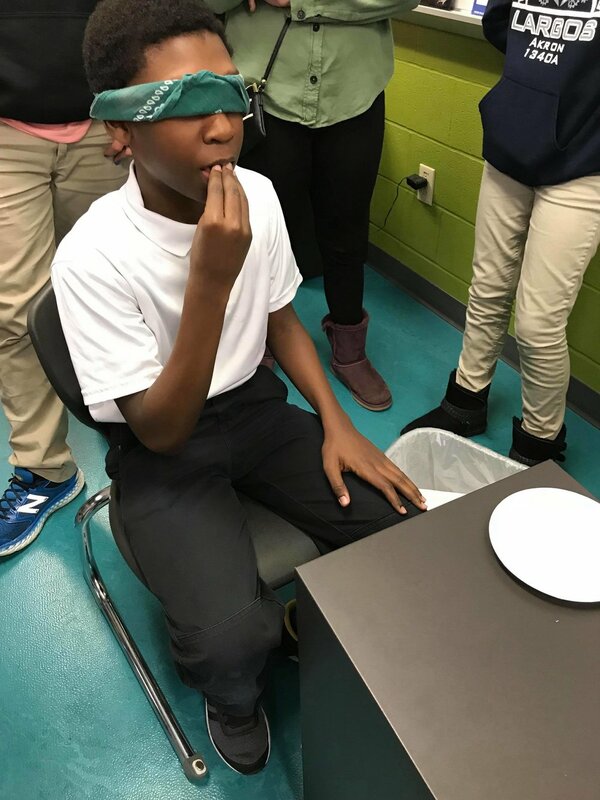 . . ALL French students learned about the difference between American chocolate and Belgian chocolate in their classes this week, so, every student took part in the Chocolate Taste Test to see if they could tell the difference between the two different chocolates . . .
Madame Barnum said it was " a Fun Day!!" 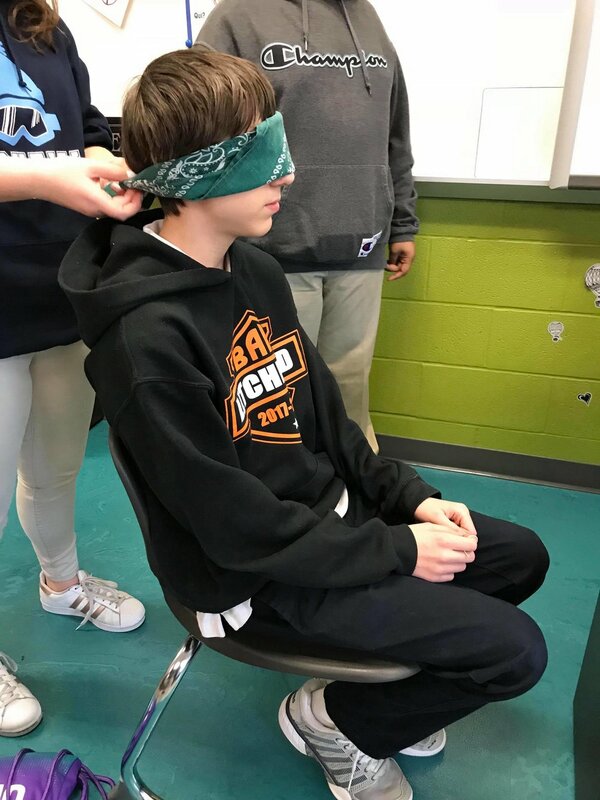 The students this year have accomplished so much, there were 81 students on the Merit or Honor Roll this past term, that is a very large group. Mrs. Floyd mentioned that she is very fond of this new group of Argos as did other teachers... There is nothing better than happy & kind & hard working students to make happy teachers, the perfect match! Mykel, who is on the Litchfield Wresting Team, is the Akron Public School's Athlete of the Month! 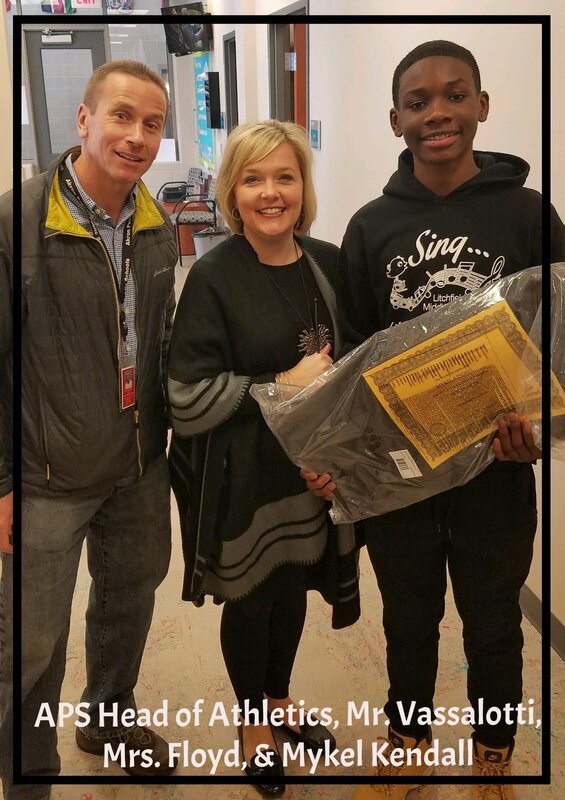 So wonderful to see an Argo recognized for their hard work, we're proud, proud, proud of him.
. . . and thank you so very much to the APS Head of Athletics, Mr. Vassalotti, for coming over to our building to meet with Mykel . . .
We will find a new item on our student report cards (first shared on report cards mailed in early Feb. 18). there will be information meetings for parents on Interim Night to explain what this means and to answer questions you may have. NOTE: these IB Grades are 'in addition' to the traditional grades that will continue to be on report cards. A sneak peak into a couple of our classrooms on this Sunny Friday . . .
. . . and here are your Litchfield Ambassadors! When Mrs. Floyd joined the Litchfield family she started something new, Student Ambassadors. 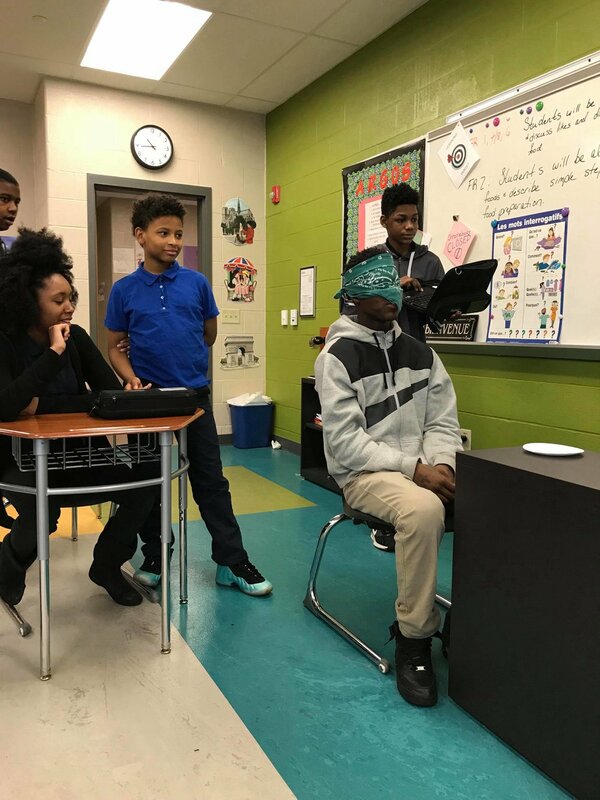 These students get an opportunity to step out of their everyday roles as 'students' as they stand with Mrs. Floyd and other staff members helping with many things throughout the school year. examples: Argo New Student Orientation, visiting elementary schools with Mrs. Floyd to share their LMS experiences and much much more. 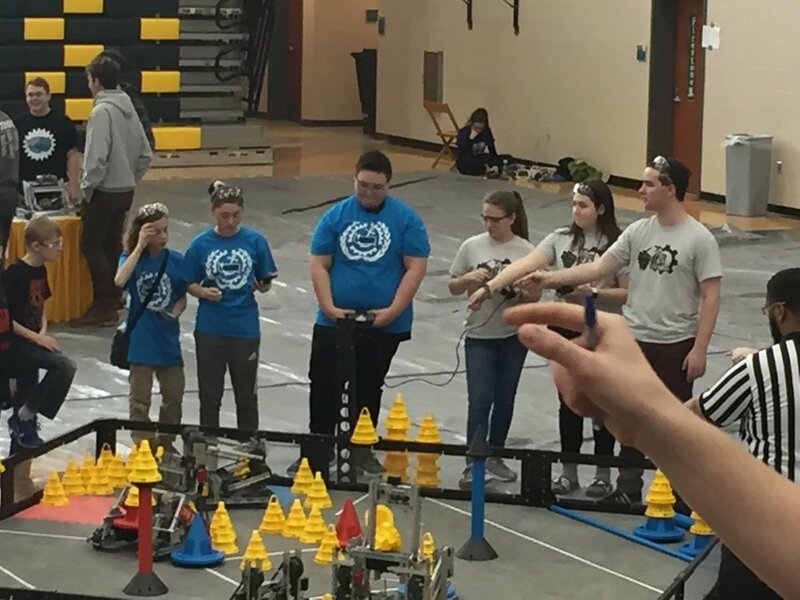 THE Litchfield Middle School Robotics Team . 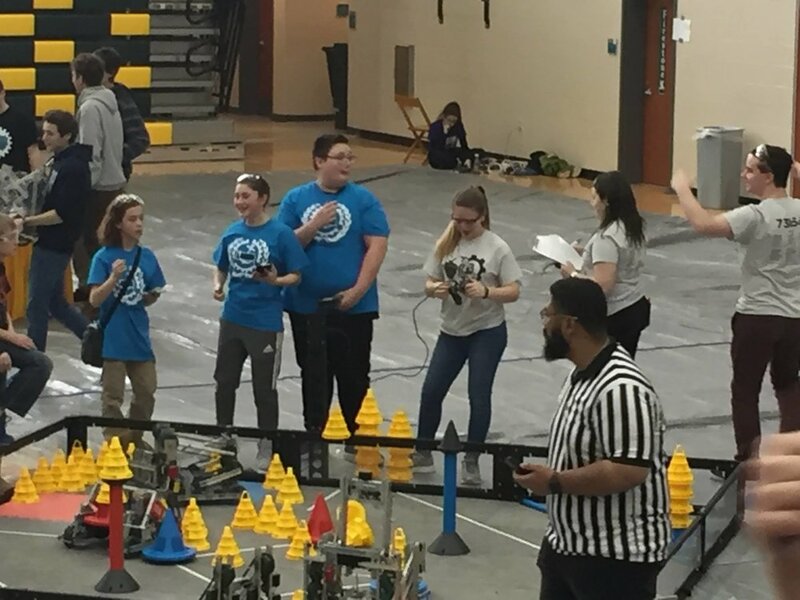 . . . . IS GOING TO STATES!!! “If you think you’ve suffered too many awkward moments or been in the dark in conversations, just think how poor, innocent aliens feel! Hungry to fit in, (a little too hungry at times!) they do and say things that we humans aren't allowed to. "Where There's A Will, There's A Murder"
When ten distant relatives learn that each of them is about to inherit a million dollars, wheels begin to turn and plots hatch. If someone doesn't make it through the stormy weekend ahead, their share will be divided equally among the others. It doesn't take a mathematical genius to figure out that less is more. As bodies pile up, the laughs come fast and furiously in this ‘whodunnit’ that proves that Where There’s a Will, There’s a Murder. 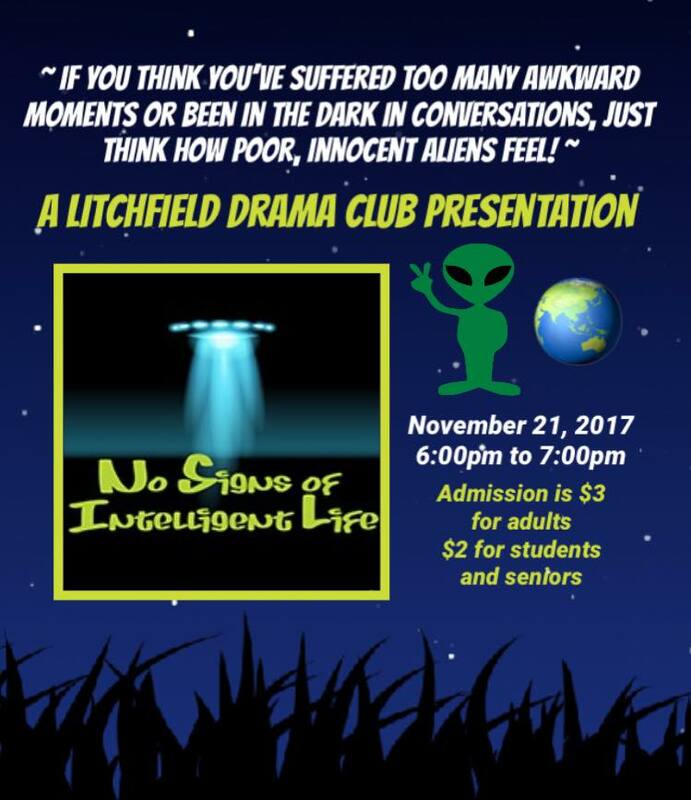 The Litchfield Drama Club brings a Musical to the Argo Stage. The one and only public performance will be held on May 21st at 6:00pm. Tickets are $1 for students and seniors and $2 for adults. including a special finale in which all of our talented students will perform together. 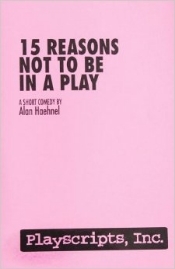 "Fifteen Reasons Not to be in a Play"
This is a play about not being in a play, ironically expressed through a hilarious series of monologues, duets, and ensemble scenes. 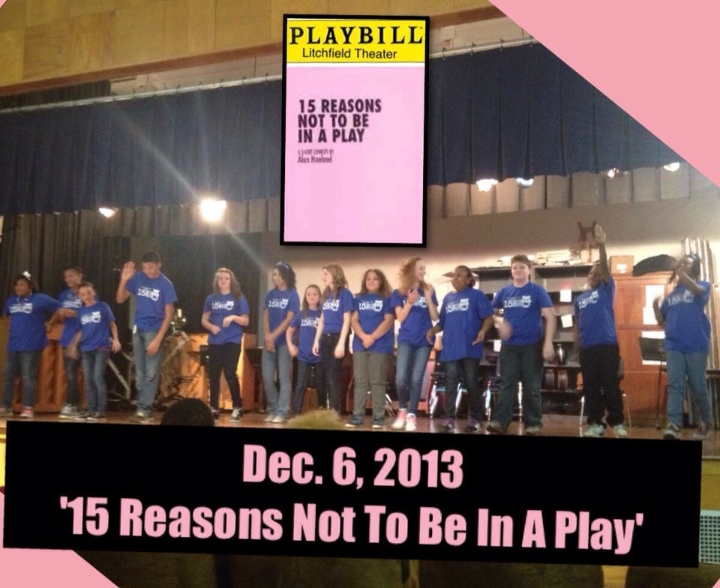 From early traumas involving a glory-seeking elementary school teacher to possible disturbances in the global climate, 15 Reasons Not To Be in a Play keeps the audience guessing just what scenario will be next. For those interested in getting a Litchfield Middle School Yearbook you can order online until Friday March 10,2017.
click Continue & YOU ARE READY TO SHOP!
. . . from there you can have emails sent directly from Yankee Candle to whomever you wish with all info they need. Please join staff and other families for a chance to meet with a representative from Traveling Classrooms. You will hear details of the Summer 2017 trip and have the opportunity to ask questions. In the Fall a flier will come home with details including cost, dates, etc. A meeting will be scheduled for families to meet and hear from the Owner of Traveling Classrooms, the tour company that LMS has used for many years for our trips.